1. Investors take a breath: It's rare to see so much stillness in global markets. Major indexes around the world are holding steady after taking sizable tumbles on Tuesday and Wednesday. 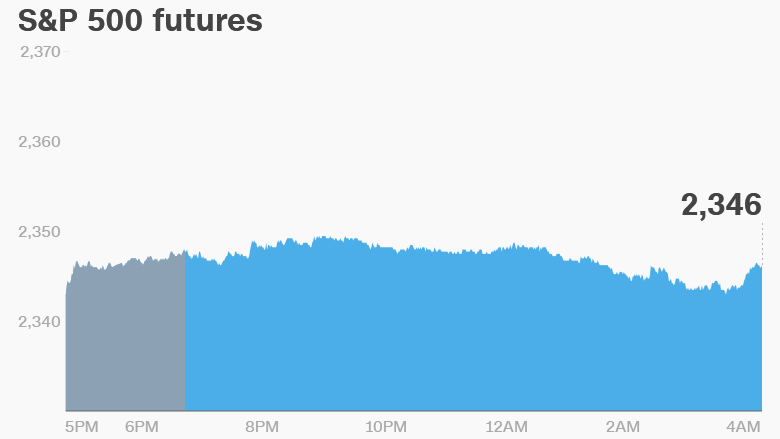 U.S. stock futures were not making any big moves. European markets were mostly flat in early trading. London's benchmark FTSE 100 index seems to have been relatively unaffected by the deadly terrorist attack near Parliament on Wednesday. Asian markets ended the day with modest gains. 2. Takeover talk: Has Amazon (AMZN) struck a deal? Media reports indicate the online shopping platform has agreed to buy the Arab world's leading online retailer Souq. American Airlines (AAL) is also expected to splash out some cash. Bloomberg reports the company is set to buy a $200 million stake in China Southern Airlines. Shares in the Chinese air carrier were halted in Hong Kong on Wednesday. The Guangzhou-based firm has promised "an announcement in relation to [a] possible major strategic cooperation." 3. More hints from the Fed? : U.S. central banker Janet Yellen is scheduled to give a speech at 8:30 a.m. ET at a Federal Reserve conference about the "economic futures of kids and communities." While the Fed chief may not address her plan for interest rates, more clues could lie in a speech later in the day by regional Fed president Neel Kashkari, who raised eyebrows by voting against this month's rate hike. 4. Obamacare in focus: Wall Street will be closely watching developments on the bill to repeal and replace Obamacare. 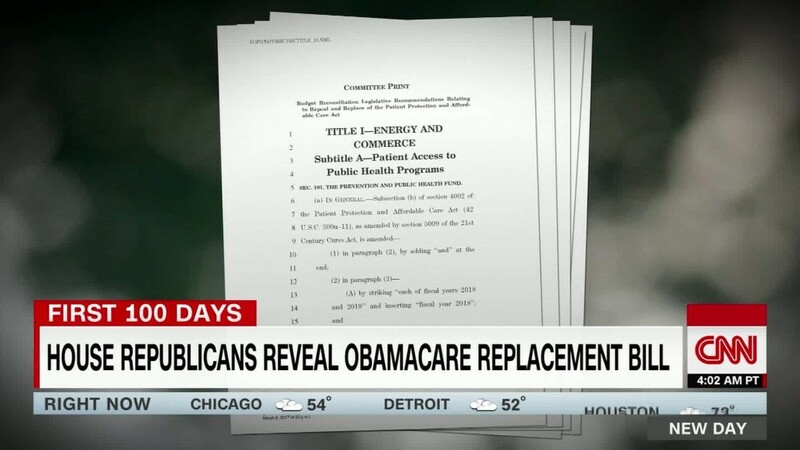 The White House said it's confident the bill will pass and warned there was no "Plan B". Those backing the plan continue to work toward securing the 216 votes needed to pass the health care bill led by House Speaker Paul Ryan. But a backlash threatens to sink the effort or even scrap the vote altogether. Additionally, Trump's nominee to lead the Securities and Exchange Commission -- Jay Clayton -- is having a confirmation hearing before the Senate banking committee at 9:30 a.m. He's expected to be pressed on his extensive links to Wall Street and quizzed about his ties to troubled companies like Volkswagen (VLKAF) and Valeant (VRX). 5. Earnings and economics: ConAgra (CAG) and Accenture (ACN) are set to release earnings before the open Thursday, while GameStop (GME) will release earnings after the close. The U.S. Census Bureau will release its February New Home Sales report at 10 a.m.